Connect Bridgeport Frankie's Furry Friends: Frankie's Furry Friends: Today's Adoptable Pet is "Hobo"
Frankie's Furry Friends: Today's Adoptable Pet is "Hobo"
How can you not love this smoochy big face? Meet Hobo! This big boy is a 78-pound male American bulldog/Shar Pei mix. He is two years old, is up to date on shots and scheduled to be neutered. Hobo will need special diet and skin care for life. Please look up the Shar Pei breed to learn about this unique breed. He absolutely loves everyone! Hobo’s adoption fee is $95. 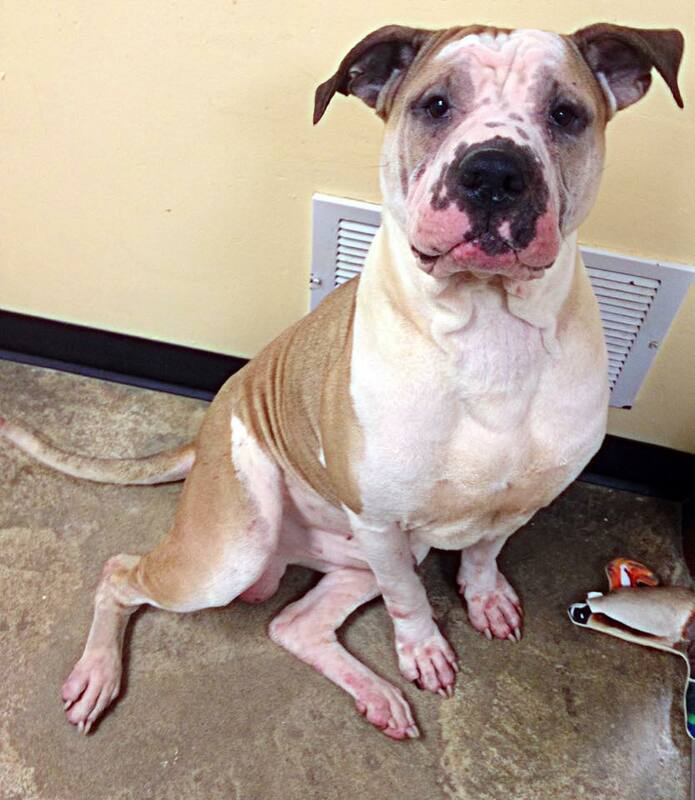 Please come meet him and try him on a five-day foster trial or adopt today. Only adopters with approved applications are eligible. The Humane Society of Harrison County is located at 2450 Saltwell Road in Shinnston and is open 10:30 a.m. through 3:30 p.m. every day of the week. Call at 304-592-1600.